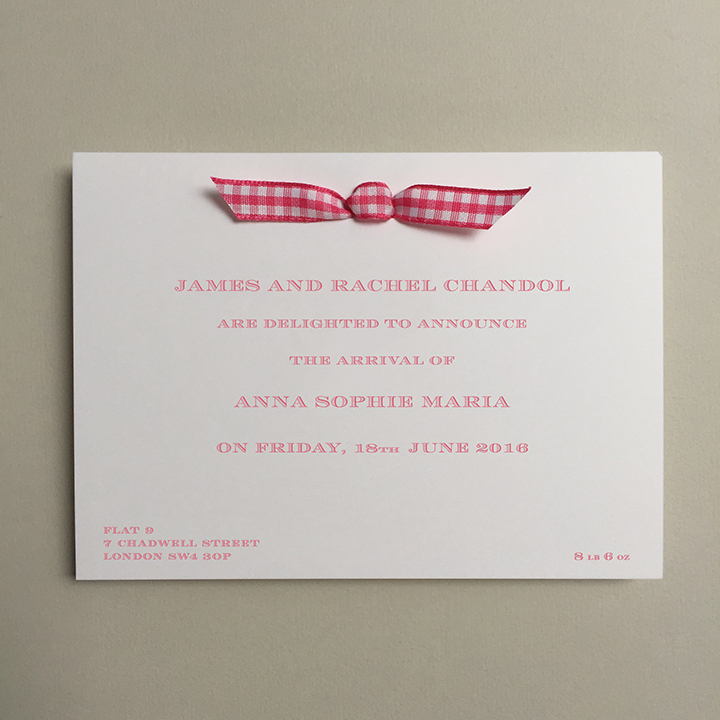 Chandol Birth Announcement is a wonderful way to let the world know your fantastic news. 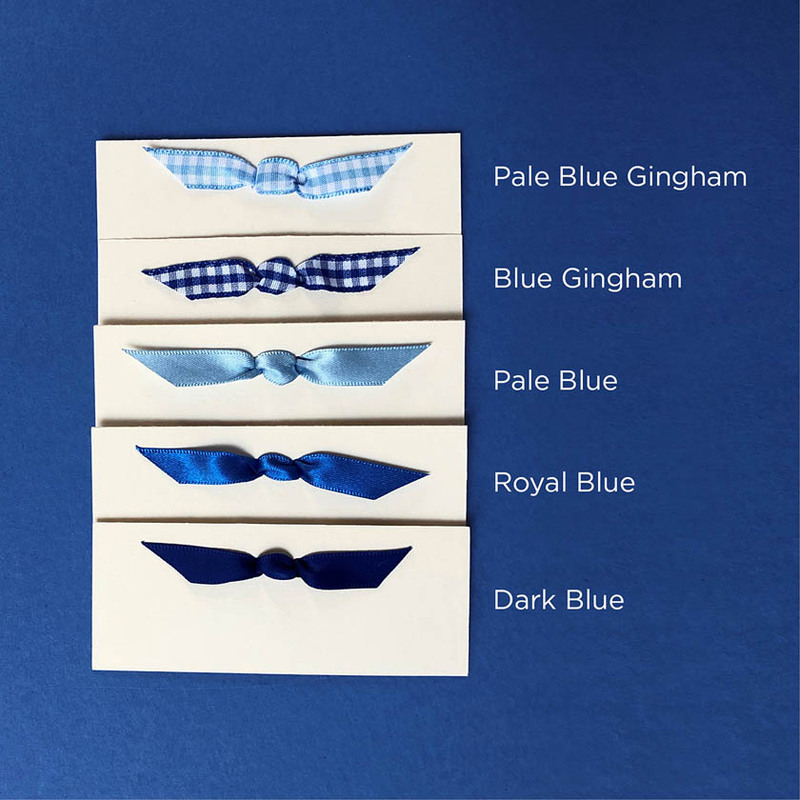 The arrival of your little one deserves to be announced with a beautiful card. 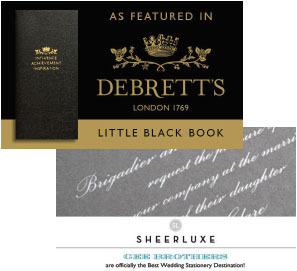 The typeface used is Engravers Shaded and is stunning. 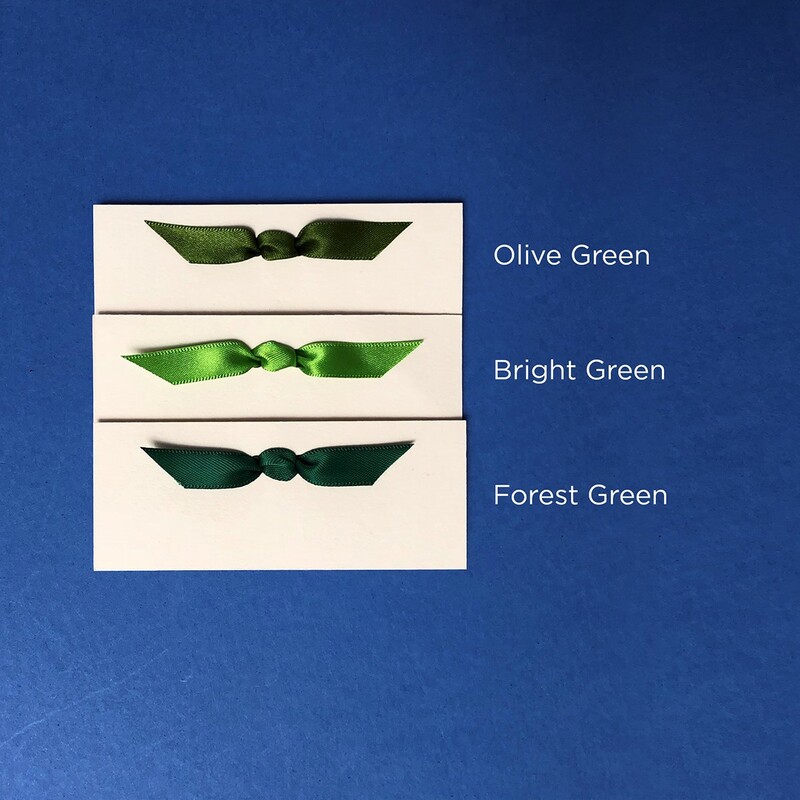 You can personalise this card by choosing your ink colour and if you wish, add a ribbon too. 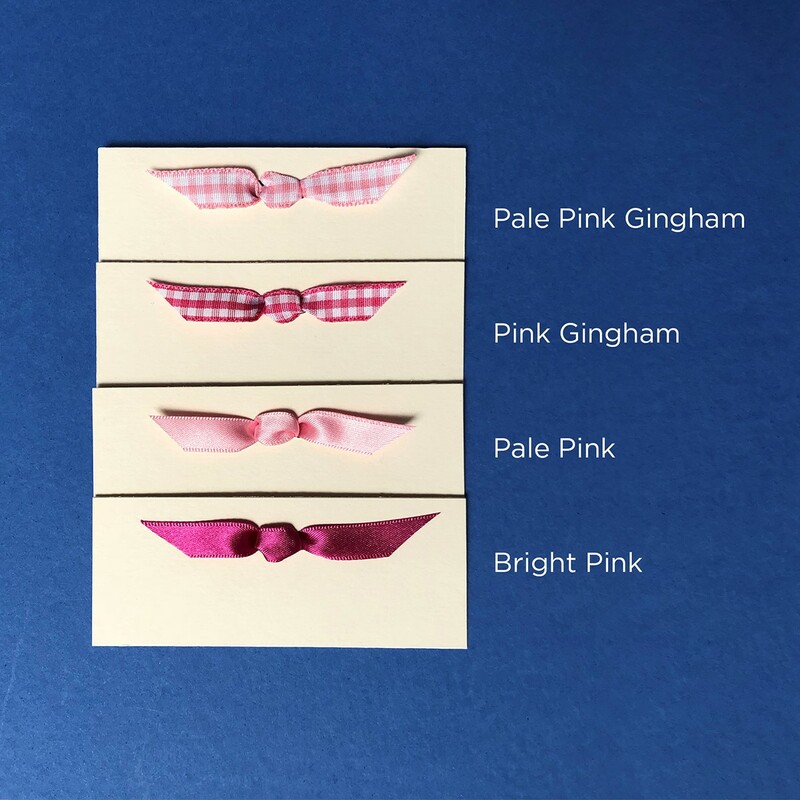 We have a selection of plain and gingham ribbons available to choose from and the ribbon really makes the announcement look very smart. 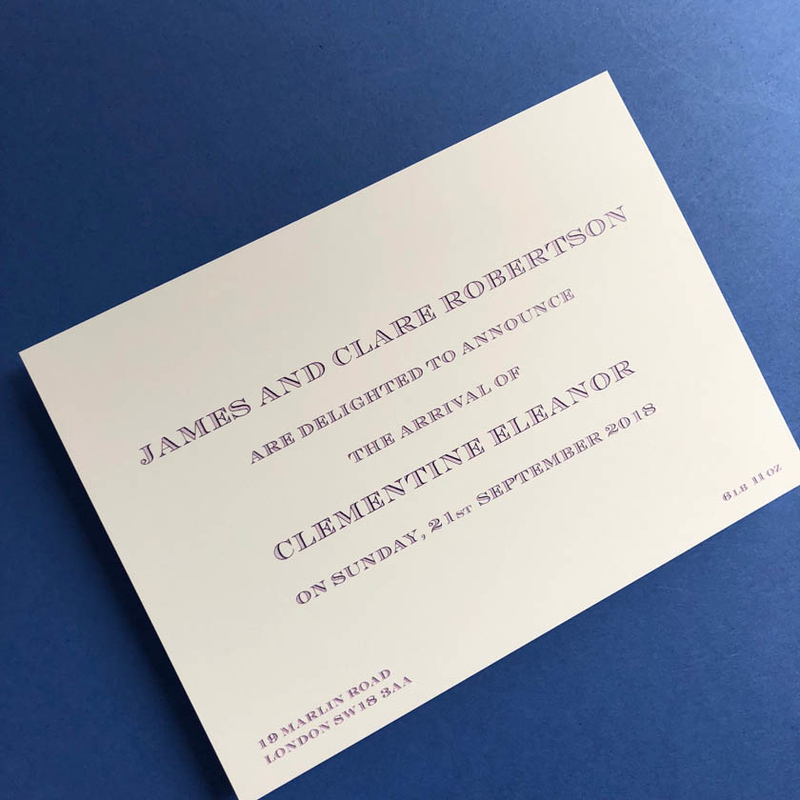 Of course, you can use this design for a Baptism/Christening/Naming Day celebration too.